To apply for funding through the Adrenaline Venture Fund, you must first submit your business plan and complete the application through the Proseeder software system. From our Home Page you must click the link for Proseeder labeled “Submit Business Plan“. This will lead you to the Adrenaline Venture Fund within the Proseeder system. This is where you will initiate your company’s profile and submit you business plan for review. Once on the Adrenaline Venture Fund page in the Proseeder system, click the orange “Get Started” button and follow the instructions to set-up your profile and submit your business plan as an entrepreneur. Seed and early stage Venture funds and investors provide billions of dollars of funds each year for early stage companies. 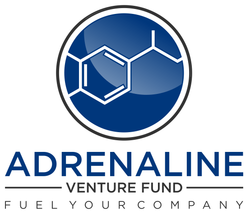 The Adrenaline Venture Fund investors and Managing partners are sophisticated, experienced investors and operators that offer more than just growth capital. The career capital that is represented by our membership can provide valuable introductions, management expertise, and strategic coaching.